The fact checkers over at PolitiFact have updated their Truth-O-Meter scorecards for the cable news networks and the results are not particularly favorable for Fox News (which is not particularly surprising). The change from their last analysis in September of 2014 shows that both CNN and MSNBC have improved their record, while Fox has sunk deeper into the abyss of dishonesty. Although, from Fox’s perspective that would be regarded as an improvement since it is their intention to deceive. Some of the types of stories that contributed to Fox’s downward spiral include the ludicrous assertion that Birmingham, England was a totally Muslim city that no one else can enter, and that France has 741 no-go zones itself. Those claims were mercilessly mocked and produced the Twitter hashtag “#FoxNewsFacts” as well as a brilliant response from Le Petit Journal, a French television satire show. 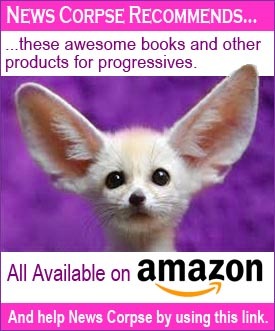 Then there was the report by Fox that a proposal by the Obama administration to close tax loopholes for the wealthy and cut billions of dollars of taxes for the middle-class was actually a tax increase. And Fox also reported repeatedly that the Keystone XL pipeline would create tens of thousands of jobs, when only 35 of them would be permanent. Megyn Kelly did a lengthy segment revealing how Colorado Democrats were plotting to engage in massive voter fraud, except that none of her reporting was true. And Fox’s George Will fear mongered about Ebola saying falsely that it could be transmitted by a cough. And we haven’t even touched on the lies about ObamaScare, ObamaPhones, ObamaCars, or any other fabrication to which Fox appends the “Obama” prefix. And that’s only the tip of the iceberg. 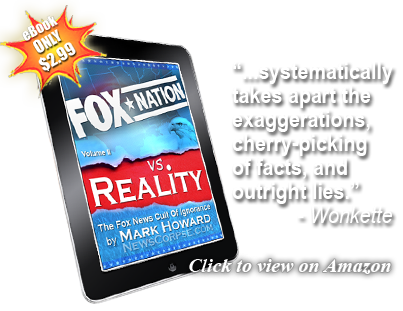 Every day there are new fallacies presented as truths by the practiced liars at Fox. 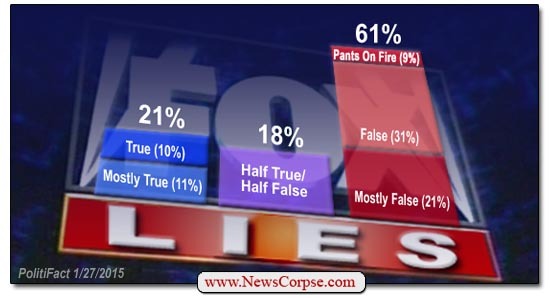 The result is that Fox is the only network that has more false rulings than true by PolitiFact, by a wide margin. And Fox really has to work at failing the truth test 61% of the time. If you had any intention of being honest, you could do better than that by flipping a coin. Which makes it all the more incomprehensible that anyone still considers Fox to be a legitimate news enterprise. Fox is giving its audience what it wants. The prefer over-the-top, non-facts to the truth because they do not want to believe that anything positive is happening in the country. What was the old saying, “Everything you hear is a lie, including ‘an’ and ‘the”?